Oh, brumous days of January — "of gray skies and winter days; filled with heavy clouds or fog; relating to winter or cold, sunless weather." Reading Other-Wordly: words both strange and lovely from around the world this week, and thinking about the relationship between language and culture. If anyone else listens to a lot of bossa nova and has always wondered what “saudade” means, it’s included in this beautiful collection of words. 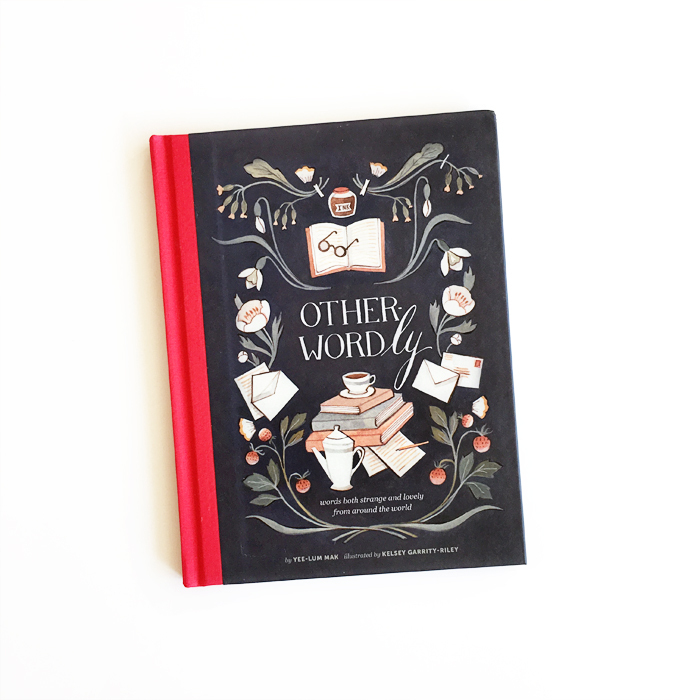 Other-Wordly: words both strange and lovely from around the world was written by Yee Lum-Mak, illustrated by Kelsey Garrity-Riley and published by Chronicle Books.